theMCGuiRE review takes a look at DEAD THRONE a new game from Sharkee Games and coming to us through kickstarter. 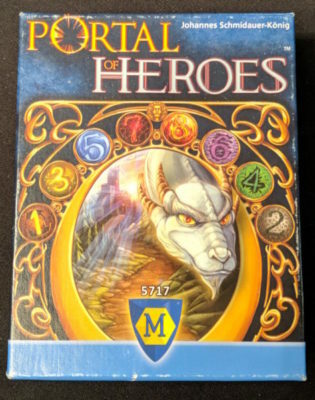 This game is a fantasy adventure game at heart but offers a very cool PvP and questing component that makes it a strong entry for me. you will traverse the board looking for items, questing and hunting down medallion and region stones. Can you be the first player to reach the castle with either all the region stones (heroes) or all the medallion pieces (Saladar) for the win? Or would you rather defeat the mighty dragon and win the "Crown of the King"? Its up to you in this open world adventure game! 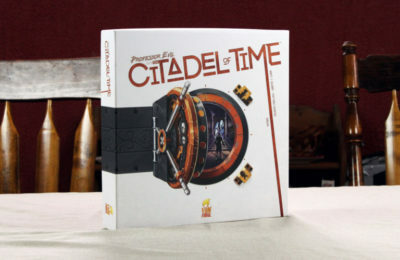 This one is a fun title and I am impressed with the simple mechanics but high player interaction you generally do not see in an adventure game. theMCGuiRE review takes a look at Draconis Invasion a new deck builder from Passport Games and recently Kenji Inc. This is your standard deck builder but offers two very nice mechanics I like and will keep you wanting to keep coming back for another round (watch the video for these as I think they make this title a fun and enjoyable experience). 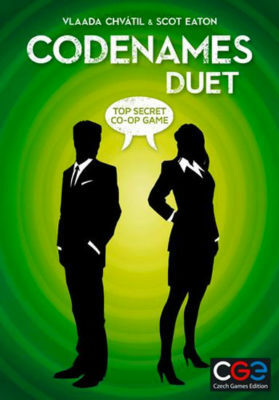 I definitly recommend playing this title with a group of friends although it offers a solo play experience as well. 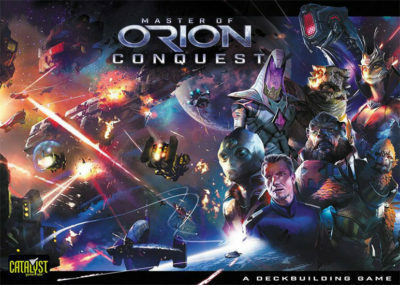 The solo experience is good but I think this game really stands well as a group experience. Great artwork and excellent packaging design. Flip and Find’s Diner is a 1-4 player game (I am a little unsure how much fun this would be 1 player though) based on memory and tactics. The guys at Spontaneous Combustible Games have been putting their heads together to come up with something very different from their last release of Pests, and this time they have aimed it at a family audience. This is the perfect gatrway game to get your little ones into tabletop gaming, it is colourful, fast, fun and most important of all there will be a winner! The goal of PEatCoT is to unlock and recover four treasures before Professor Evil locks away four of his own in a secret vault. On your turn, you get to do three actions plus resolve one of two action cards drawn from your character-specific action deck. Things you can do include moving from room to room, unlocking doors, deactivating switches, and recovering treasures. 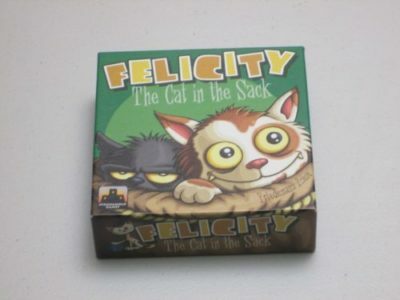 Felicity, the Cat in the Sack is a hand-management, auction, and bluffing game for three to five players. Players contribute animals to nine communal sacks and bid on the contents of those sacks. The player with the most points wins.